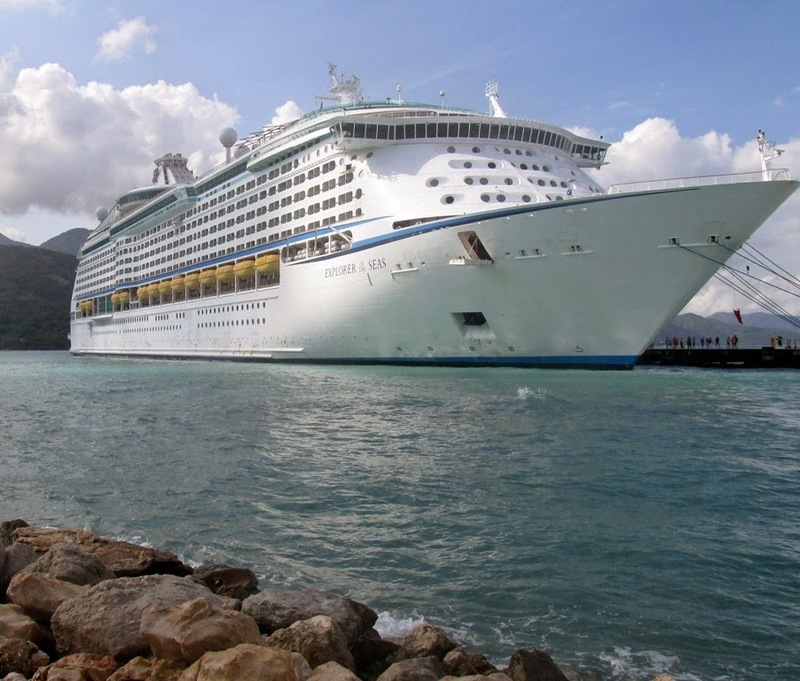 We returned last week from our first Royal Caribbean Cruise. It was nine days with some ports we have not been to before. Unfortunately, on the last evening of the cruise I picked up what turned out to be a be pretty difficult to shake cold. We went on this cruise because one of our friends had organized a largely RV group to go. It was a group of 8 couples and proved to be a lot of fun. We were onboard the Explorer of the Seas, which is an older ship by cruise ship standards which had some features we had not seen on the two cruise lines we have been on. It had a huge atrium from deck four all the way to deck 12 that ran from the forward elevator shaft to the aft elevators. Overlooking some of the problematic concerns I have with these from my Coast Guard life, it made it very easy to get around the ship quickly. We left from Port Canaveral and traveled all the way south to the ABC islands of Aruba, Bonaire, and Curacao. This meant a couple of days of sea time right away, which we find one of the best parts of a cruise. Since we had just been in Aruba earlier this year, we did not spend much time ashore and enjoyed a quiet time aboard ship.